Self Adhesive Hook and Loop products at POS Tapes provide the perfect temporary fix for a wide range of in store displays. Hook and Loop technology allows items to be secured in seconds, easily accessible or interchanged when required. 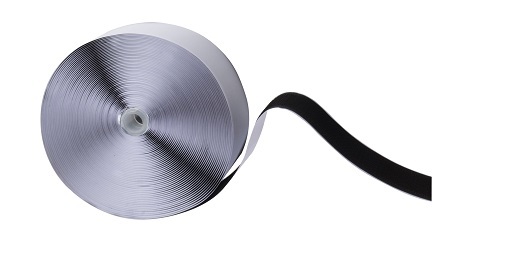 POS Tapes offers Self Adhesive Hook or Loop Tape in rolls of 25 metres, in widths of 20mm and 25mm and in either black or white. We also stock rolls of Self Adhesive Hook or Loop Coins. With 1550 on each roll, these 12.5mm diameter discs also come in a choice of black or white. For further product information, please contact our POS Tapes sales team. 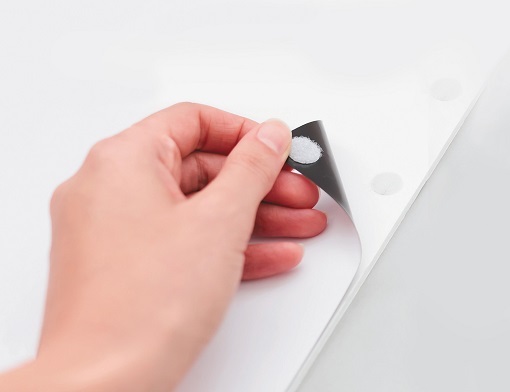 With over 20 years’ experience in manufacturing and supply of adhesive tapes and plastic products, we have become a major supplier of Point of Sale accessory products. We pride ourselves on high quality products combined with excellent customer service to offer reliable and innovative solutions for all POS applications. We constantly develop and add products to our range of POS materials and adhesive tape solutions. With our state of the art production facilities, we have the ability to produce bespoke products for your specific applications or requirements. We also despatch our products worldwide, so please contact our Export Technical Department and we can discuss your requirements.